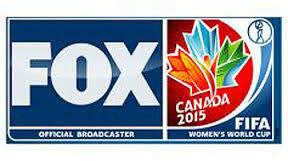 The tournament begins Thursday in Jordan and ends Oct. 21. 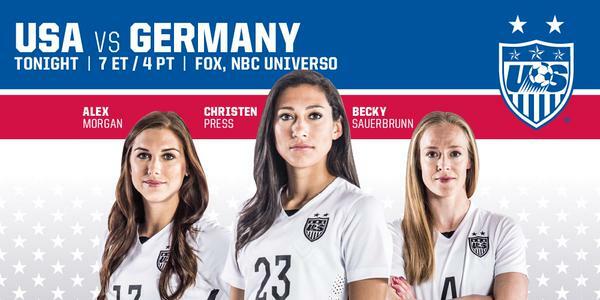 The U.S. is in Group D and begins play Oct. 1 against Paraguay (9 a.m./FSP). 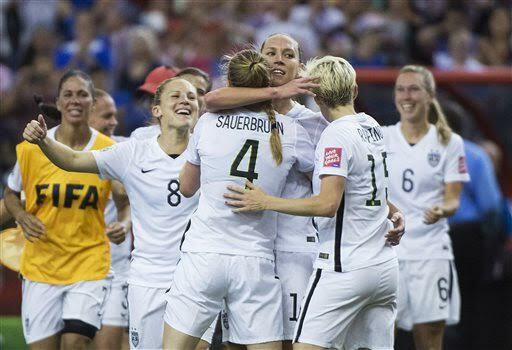 The U.S. will also face Ghana (Oct. 4) and Japan (Oct. 8). 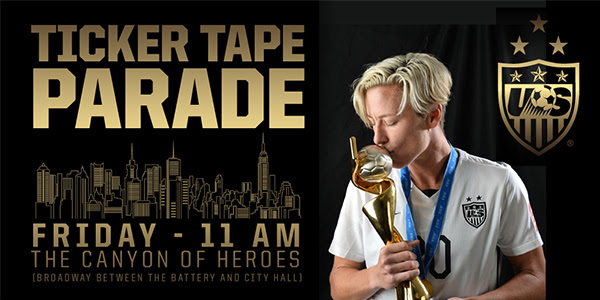 The parade starts at 8 a.m. Pacific and can be seen on FOX Sports 1, ESPN3 and streamed on the the official YouTube page of the NYC Mayor’s Office. Complete reaction from today’s rally including a photo gallery is here. Reporter David Montero has more on the scene at the victory rally here. 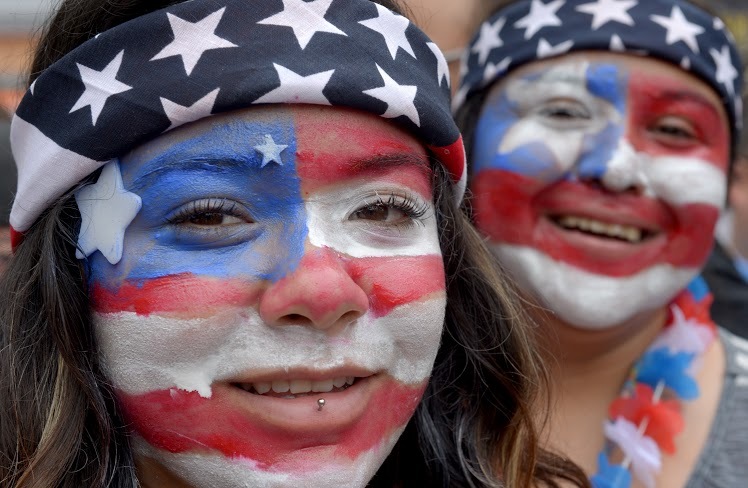 The Copa America final kicks off at 12:50 p.m. Saturday. The goal came in the 92nd minute with OT looming. I am shocked & so sad after such a marvellous England performance?This moment will never b forgotten?We love this game=sometimes very cruel? #WWC2015 Probably the best own goal I have seen! #Eng go out in the very last minute. 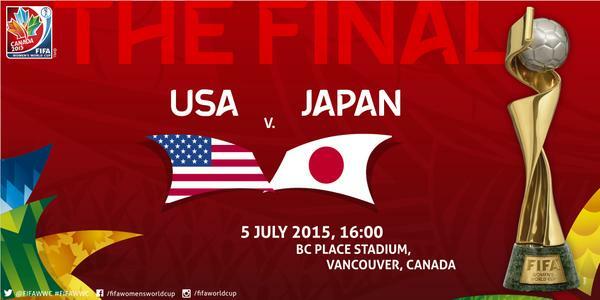 #USA vs #JPN final on Sunday!!! 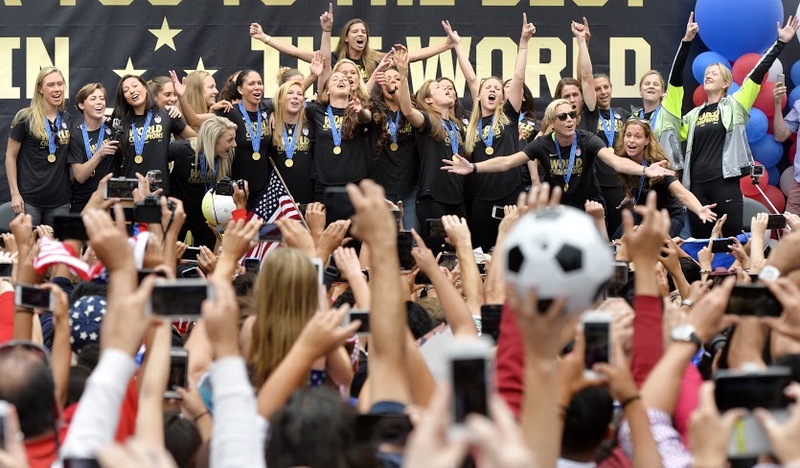 Watched by 8.4 million television viewers, only the USA-China 1999 Women’s World Cup Final (17.9 million) and the Japan-USA 2011 Women’s World Cup final (13.5 million) were seen by more in the U.S. 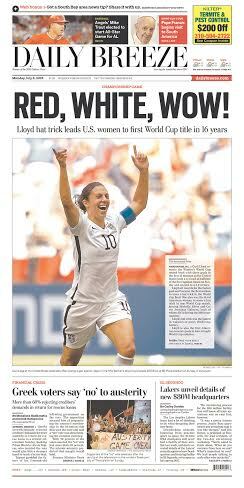 The six USA matches on FOX and FOX Sports 1 have averaged 5.3 million viewers, +121% better than the 2011 tournament average through the semifinals (2.4 million) on ESPN. 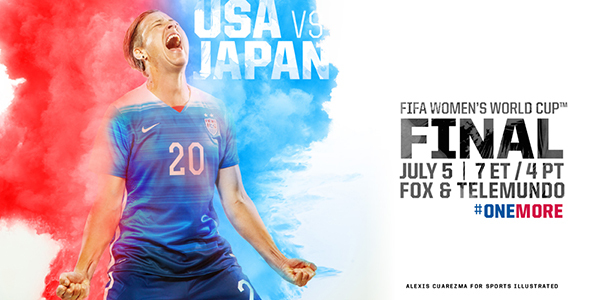 Makes you wonder just how many people in this country will watch Sunday’s final, which features the U.S. against either Japan or England and kicks off at 4 p.m.
Kickoff is at 4 p.m. PT. A game preview is here. Alan Gordon reflects on his trade back to the Galaxy from San Jose in this story from our sister newspaper The San Jose Mercury News.